A woman from San Diego, Califirnia, made an unsusal discovery earlier this month when she found a baby opossum in her toilet. The Pacific Beach resident had no idea how the little critter got there but alerted San Diego County Animal Services, and an animal control officer responded to “rescue” the animal. 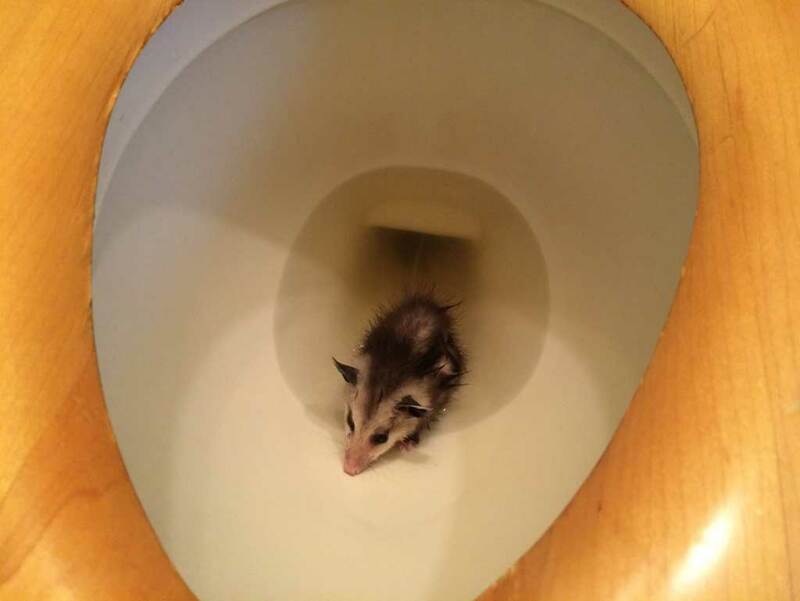 Animal control officers said in a Facebook post that they don’t believe the opossum came into the toilet through the plumbing before being found on May 1. After the homeowner found a second opossum in her home, she discovered a broken window. This is most likely how the furry creature got inside. 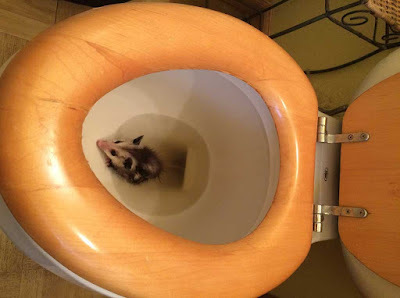 The opossum is doing well after his toilet swim and recovering at Project Wildlife. The baby opossum will be released back into the wild once he’s old enough to survive on his own.